Ali Jawad has announced the release of Ubuntu GNOME 13.10, the project's second release as an official Ubuntu flavour featuring the GNOME 3 desktop with GNOME Shell: "The Ubuntu GNOME team is proud to announce the release of Ubuntu GNOME 13.10. Ubuntu GNOME aims to bring a mostly pure GNOME desktop experience to Ubuntu. 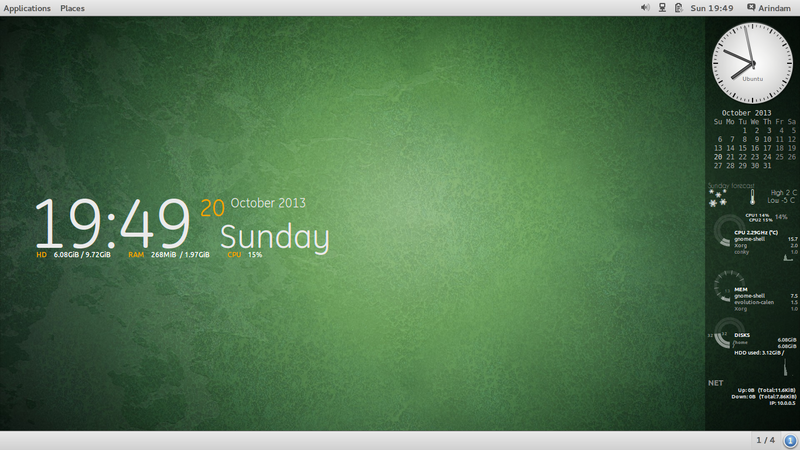 Keeping in coordination with the Ubuntu Desktop team, we have decided to stay with GNOME 3.8 for the 13.10 release. Features: most of GNOME 3.8 is now included; many artwork improvements including new boot loader theme, Plymouth theme, wallpapers, installer slideshow and completed branding with our new logo; the new GNOME Classic session is included, to try it choose it from the Sessions option on the login screen; Ubuntu Online Accounts is no longer included by default." See the release announcement and release notes for more information. Download: ubuntu-gnome-13.10-desktop-amd64.iso (865MB, SHA256, torrent).